How to run the test to create a new Excel file with jxl.jar? 3. Open the output file "test.xls" in Microsoft Excel. 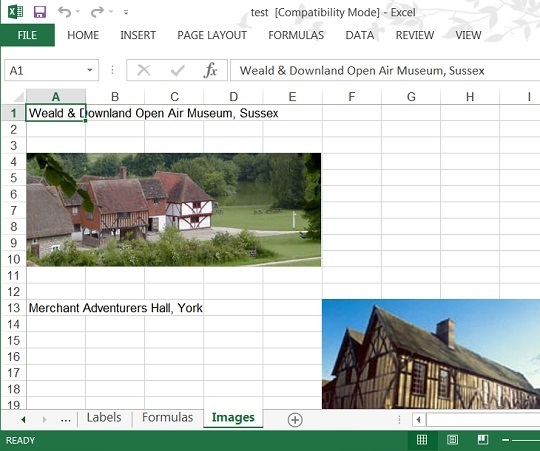 You see the Excel file open with multiple tabs: Number Formats, Date Formats, Label Formats, Borders, Labels, Formulas, Images.